Information. 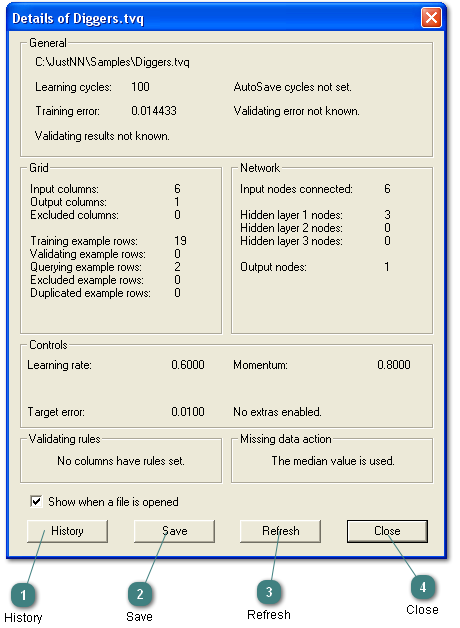 Details of the neural network file are displayed when the file is loaded or when Information is selected on the menu. Click to close the dialog.